Boo! Do you like horror movie? Do you like being scared? If your answer is yes then you might be excited about the upcoming Halloween which only 9 months away! 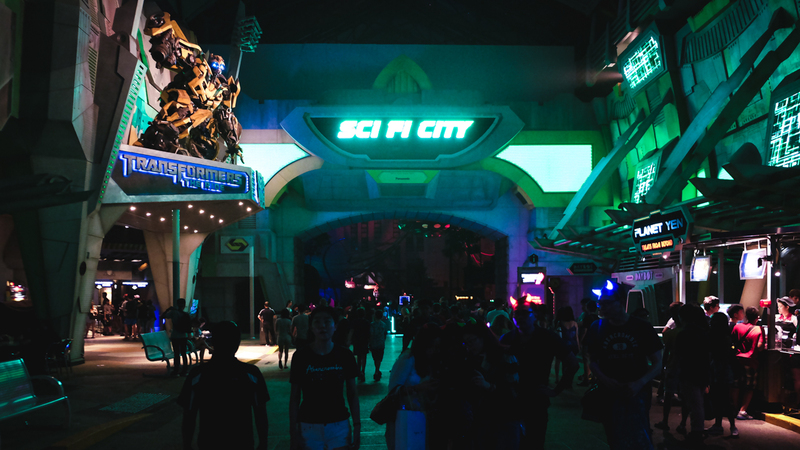 I have been experiencing the Halloween Horror Nights at the Universal Studio Singapore myself and survived. Now I can calmly write down my experience creeping around this place. I am not exactly a fan of any kind of horror movie. Not because I am a scaredy-cat but I think it’s because of the opposite, I am not easily scared. But physical things that can literally hurt me is scarier to me, like paying bills or doing my taxes. Brrr… Hence why you might be reading tons of sarcasm in this post. This was my first time going to Universal Studio’s Halloween event ever. So I don’t exactly know what to expect, except what I read online. If you are thinking of going maybe this year then let’s run through the general view of the events. 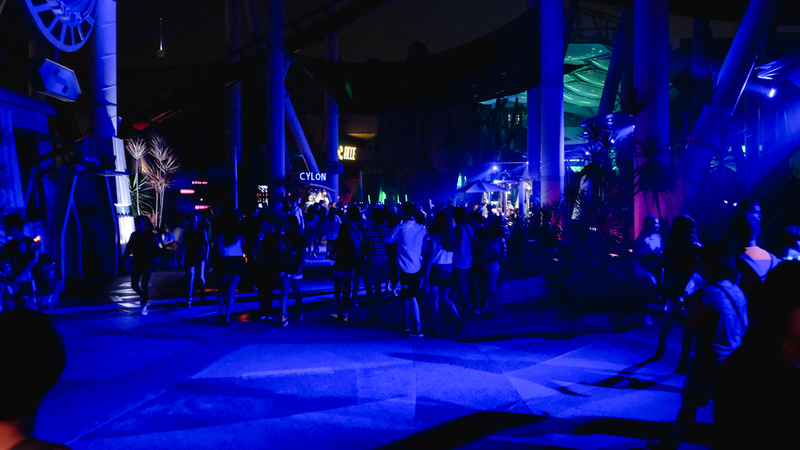 Halloween Horror Nights are the event at Universal Studios Singapore held yearly every Halloween. 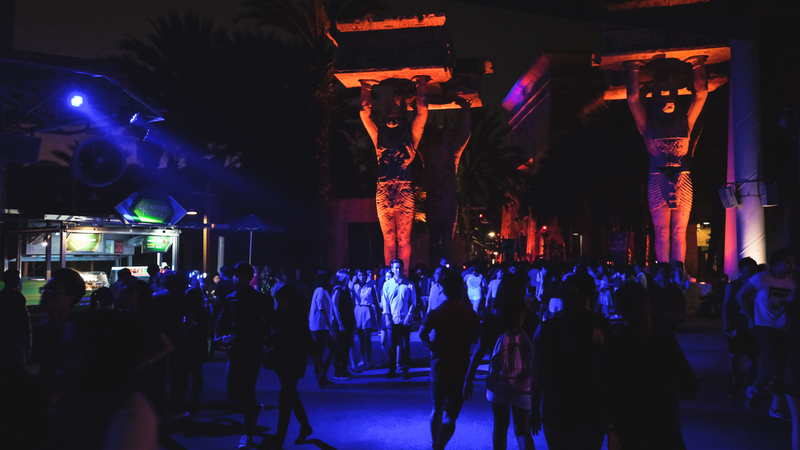 The park transformed after-hours into a giant hot mess of horrifying territory claimed by monsters, demons, and ghouls. And every year the park divided into haunted houses, scare zones, and safe zones. It’s different from the Universal Studio Singapore (USS) regular pass. You need to buy a different ticket for the Halloween Horror Night (HHN). But you won’t need to buy both, just buy which one you want. USS regular pass won’t be able to be used to enter HNN and vice versa. The park will close at 6 pm for them to prepare for the Halloween event and the event will start at around 7.30pm. So the guest visiting the USS during the day won’t be able to stay until night. But even though you are not coming to the HHN, you can still feel the Halloween vibes. 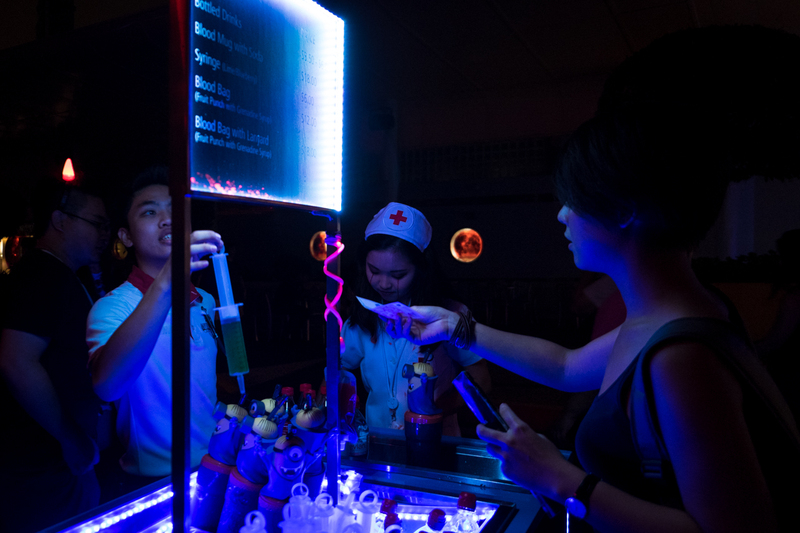 Because they also have like face painting booth, take a picture with a ghost booth, even selling Halloween-themed snacks outside the park. Also, there are couples of rides that are not Halloween-themed also opened at the event. Rides like TRANSFORMERS The Ride: The Ultimate 3D Battle, Revenge Of The Mummy, Battlestar Galactica, and couples of others. Now the theme for the HHN 5 was the Blood Moon. You might ever hear about the story/legend/prophecy of the Blood Moon. It was pretty big deal back in 2015 and they did a great job grabbing the moment. Before coming I thought this will be just another theme park experience. Come, see, and go. But it turns out to be more. And it all started with the opening acts. It’s more theatrical than what I expected, they kinda briefly shows the terror behind the Blood Moon and how it started. At the HHN5, there were 4 haunted houses and 3 scared zones. The MRT, Siloso Gateway Block 50, Hell House, and Tunnel People for the haunted houses. Hungry Ghosts, conTERMINATED, and The Invaders for the scared zones. We didn’t get to visit all of them and let me tell you why in a second. One thing scared me more than all the ghost acts is the crowds! I think I underestimate a number of people they can fit into this theme park. I thought it will be just the ordinary theme park packed. Oh heck no. We arrived at around 6 pm after strolling around Sentosa. Nothing else to do, we figure out we’ll just wait until the park open. Even on the outside, we can already feel the mood. There were people walking in painted faced wearing fake devil’s horn. But honey, does this red suit me? This was the crowds 2 hours before the gate open and it only gets worst from there. But it was not just ordinary crowds. It was the hormonal, easily excited, overly dramatic teenagers. The devil itself. To be honest, the scariest moment for me was when the opening acts finish. It was when all the people started running everywhere to get to the attractions first. I was afraid of getting stomped and died. I am scared for my life! Dramatic eh? LOL! But seriously, you don’t underestimate teenagers with their adrenaline pumped up. This was also why we only visit 2 haunted house. The park opened 5 to 6 hours a day and 1 single attraction took 60 to 90 minutes of waiting time! 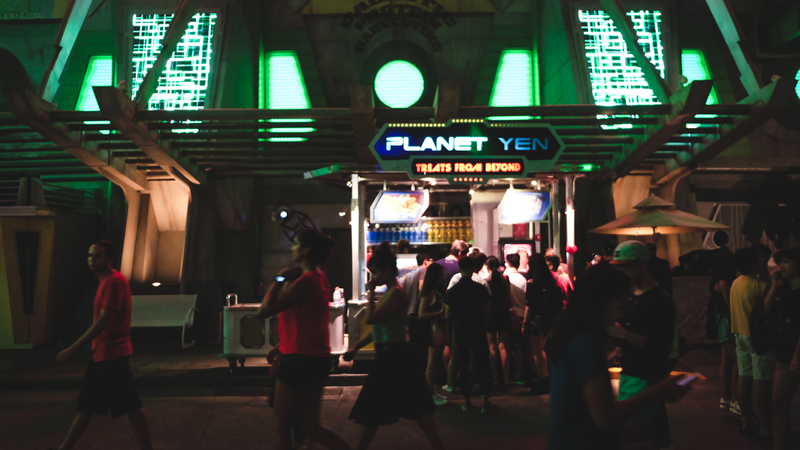 And at the end, we just gave up after 2 attraction and decided to just stroll around and savoring the mood. Now, the scariest question of the day if I think this place is worth the money? As surprising as it gets, my answer is yes. I do recommend you to visit the Halloween Horror Nights. I think this is something you should try for yourself at least once. Even if ghost stuff is not your jam, you will still able to appreciate the atmosphere they created here. But, my tip will be to get the Halloween Horror Nights Express. It is basically the fast past to get you through all the waiting and straight to the attraction itself. It’s quite pricey but trust me, if you want to go all out then just go all out. But the waiting is not worth your time and at the end, you will only get 5 hours here anyway, better get the most of it. Well, maybe the Spaghetti Space Chaser wasn’t scariest terror..
Then, the second scariest question of the day if I think it was scary? Then answer will be yes and no. There are too many people even inside the haunted house to feel scared BUT it was my standard. But if you are easily scared then you will freak out, like the girl behind me who screamed the entire journey. And I need to say they did a great job on most of the haunted house, the decoration, and the costumes. Hey, you are not scary! Also, read our Singapore travel journal and let us know hows your Halloween experiences like if you ever went to USS or any other theme park. And if you find it scary? Or any suggestion which park we should go next. So, spook to you next time!